It goes without saying that a country, where it rains as much and frequently as it certainly does in the Faroes, must have a number of freshwater lakes. Due to the islands' geological configuration, its steep hills and mountains, most of the rainwater makes its way directly into the ocean. Water also gathers in natural hollows, especially on larger islands, forming lakes and ponds - slightly above sea level in the lowlands, as well as in higher-lying mountain valleys and on the plateaus. 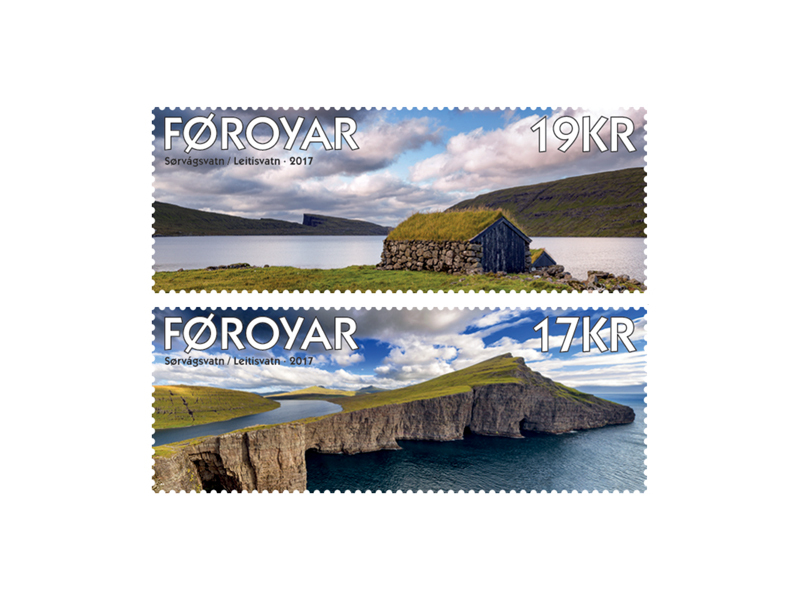 The largest lake in the Faroe Islands has two local names. It is situated on the island Vágar, close to Vágar Airport. 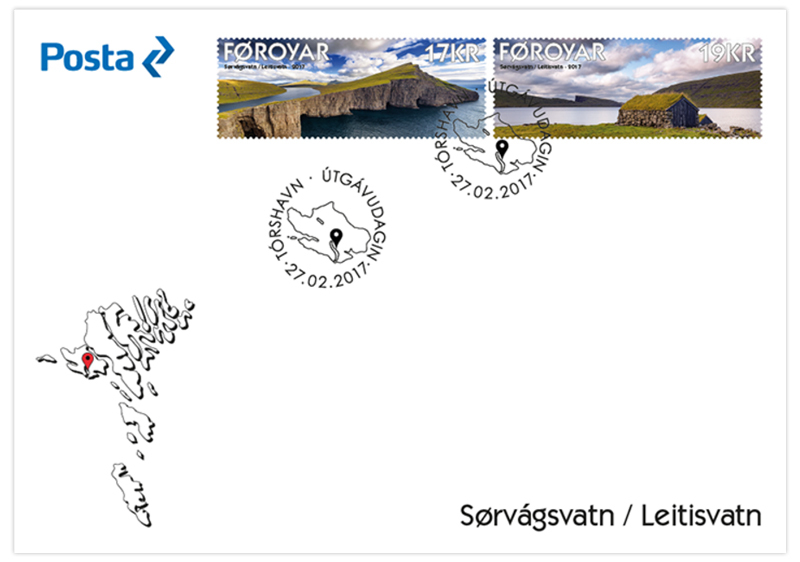 In the towns of the southeast the lake goes by the name of Leitisvatn while the inhabitants of Sørvágur, northwest of the lake, call it Sørvágsvatn. Leitisvatn lies in an altitude of 32 meters, in a wide valley between the mountains in the south of the island Vágar. The lake covers an area of 3.56 km2. It is about 6 km long and has a maximum width of approximately 800 meters. The average depth is 27.5 m, its deepest point being 59 m.
To the south the lake drains into the short Bøsdal-river, which ends abruptly in the steep waterfall Bøsdalafossur, directly over the sea cliff. The southern side of Vágar is heavily eroded, distinctive for its steep rock faces, among them the Trælanípan cape, just south of Bøsdalafossur. If the area erodes more and the narrow strip of land forming Leitisvatn’s southern end plunges into the ocean, large parts of Leitisvatn will be drained of water. The lakefront is composed mostly of rock and loose pebbles, but at Leitisvatn’s northern end there is a sandy beach. 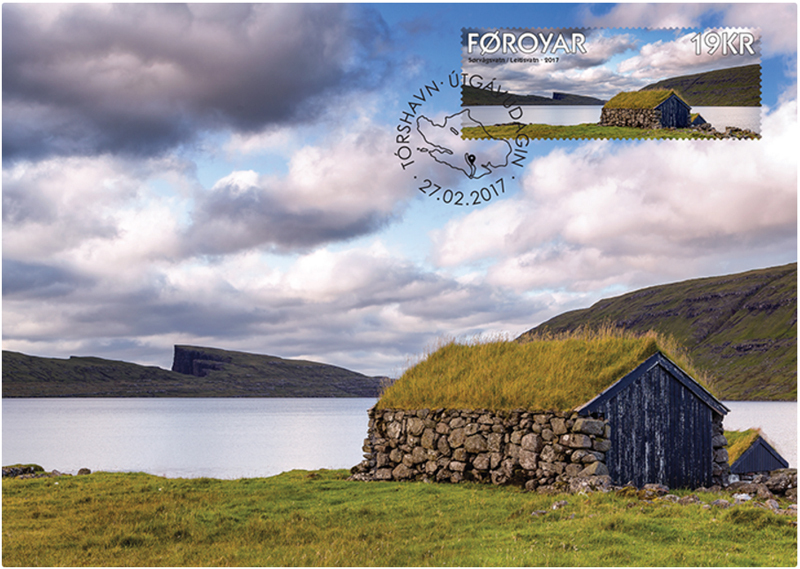 There you will also find Vatnsoyrar, the only inland settlement in the Faroes. Leitisvatn and its surroundings form an area of great natural beauty, attracting many a tourist. An optical illusion at the lake, when it is seen or photographed at a certain angle from the south, has attracted worldwide attention. Although the lake only lies at an altitude of 32 meter, the rugged south coast sloping down to the lake creates an illusion of the lake being located several hundred meters higher than it actually is. As mentioned above, Vágar Airport is located to the west of Leitisvatn is. 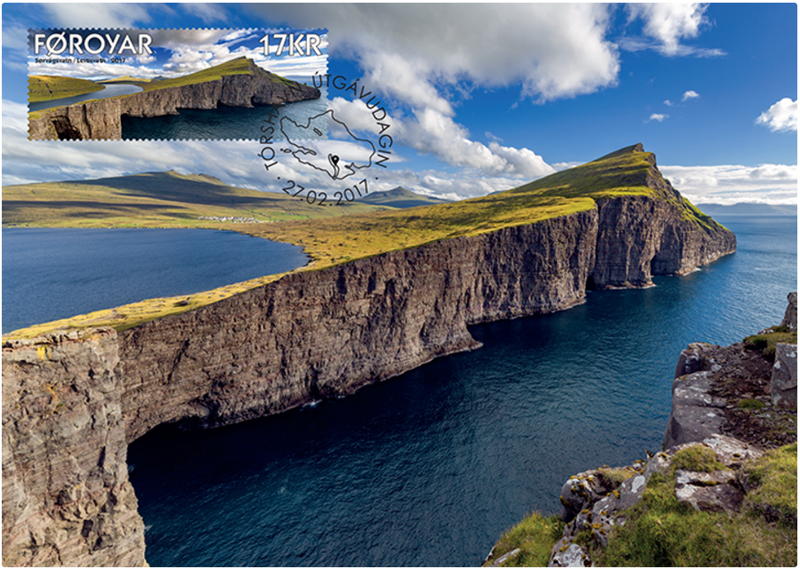 Before the British occupation forces constructed this airport during World War II, Leitisvatn was used as a runway for military seaplanes patrolling the waters around the Faroe Islands, transporting men and material to the air base. Traces and ruins dating back to the British military activities in the area can still be found around Leitisvatn. As with most other major lakes in the Faroes Leitisvatn has, according to popular belief, its own water spirits, called necks or nixies. The nixie was a mythological shapeshifting creature living in lakes and rivers. According to legend the nixie of Leitisvatn appears in the shape of a horse or a young handsome man - children and young girls being its favourite victims. If you touched the nixie in its horselike form, you would stick to it and be pulled into the lake to drown. Obviously, the nixie’s main social function in the days of old was to prevent children to go to the lake unsupervised, as well as warning young girls against associating with young strangers. According to legend, the renowned priest Rasmus Ganting (1578-1642) conjured the nixie into a large rock, Leiðisteinur, on the banks of Leitisvatn. The rock is gone now, but the place name has survived. This same Ganting is also said to have stayed overnight with trolls on the Biskupsheygur hill close to the lake, whereupon he preached and sermonized over the rock so that it closed for good. However, in spite of all trolls and spirits, Leitisvatn is worth a visit. 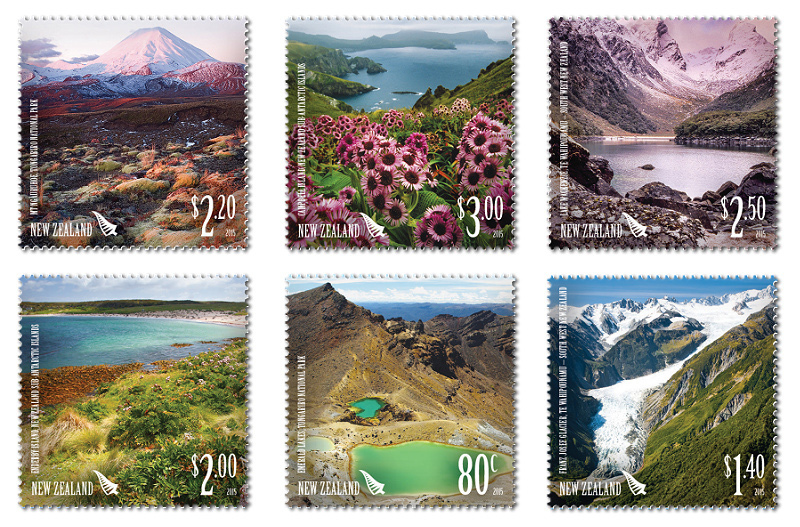 As aptly evidenced by the stamps it is a beautiful natural area, spiced with cultural relics and activities handed down through generations.